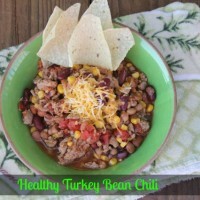 Try this easy chicken taco chili dinner recipe for busy weeknights! 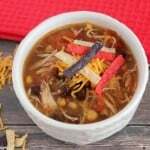 It’s packed with flavor and tastes like chicken tacos in soup form! YUM! 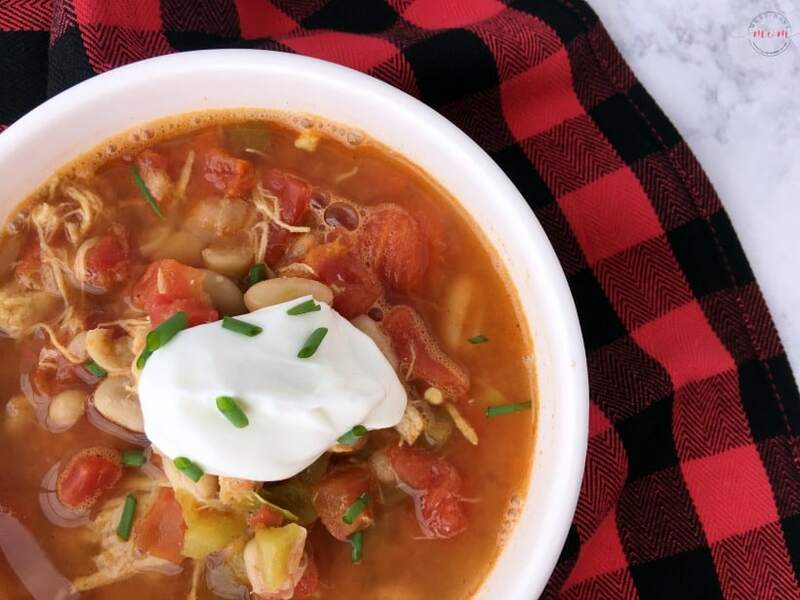 This chicken taco chili recipe goes together quickly and cooks up fast while delivering a flavor-packed chili that packs a little kick and a big punch of flavor. 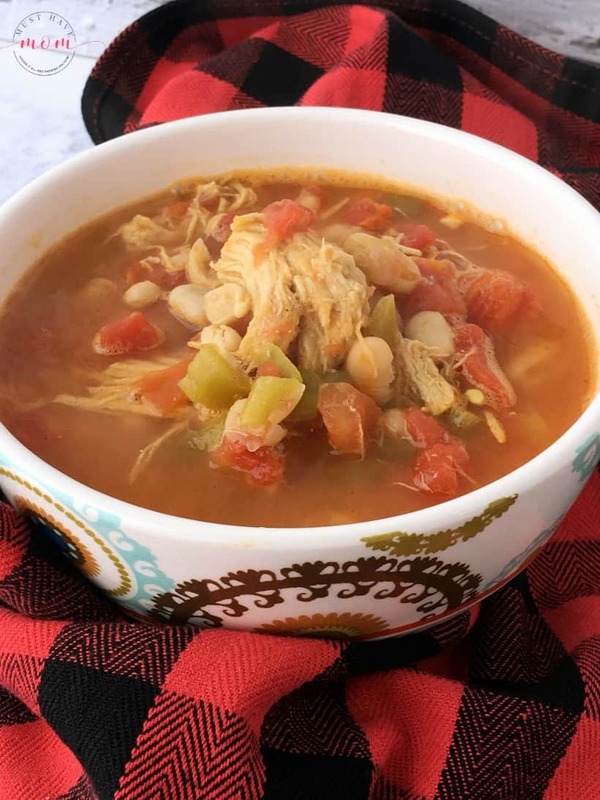 It’s sure to warm your belly and offer up the comfort food you crave, without all the unhealthy ingredients that are usually associated with comfort food! You can find all of these ingredients at Walmart! 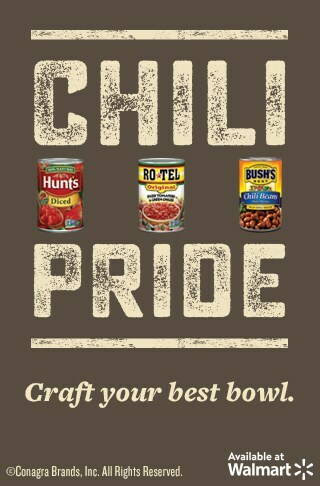 In a large pot, combine broth, Bush’s beans, chicken, green chilies, Ro*tel, Hunt’s tomatoes and spices. Bring to a boil over medium heat then reduce heat and simmer 20 minutes. 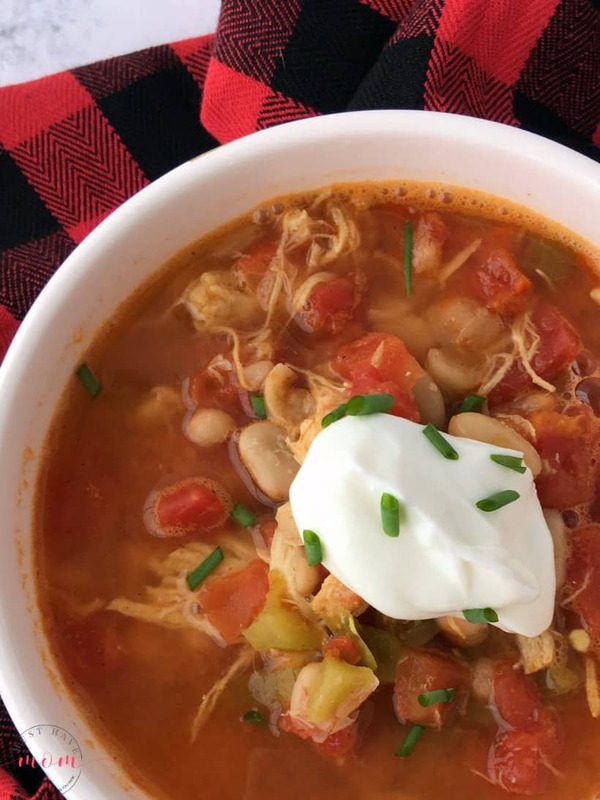 Once the chicken taco chili is hot, remove from heat and serve. Serve with plain Greek yogurt (or sour cream) and garnish with green onions (optional). Feel free to get creative with your toppings! Serve with chips, cheese, jalapenos, pico de gallo or whatever other fun toppings you love! 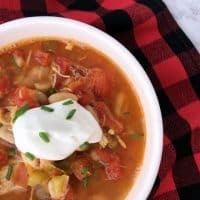 Easy chicken taco chili dinner recipe! 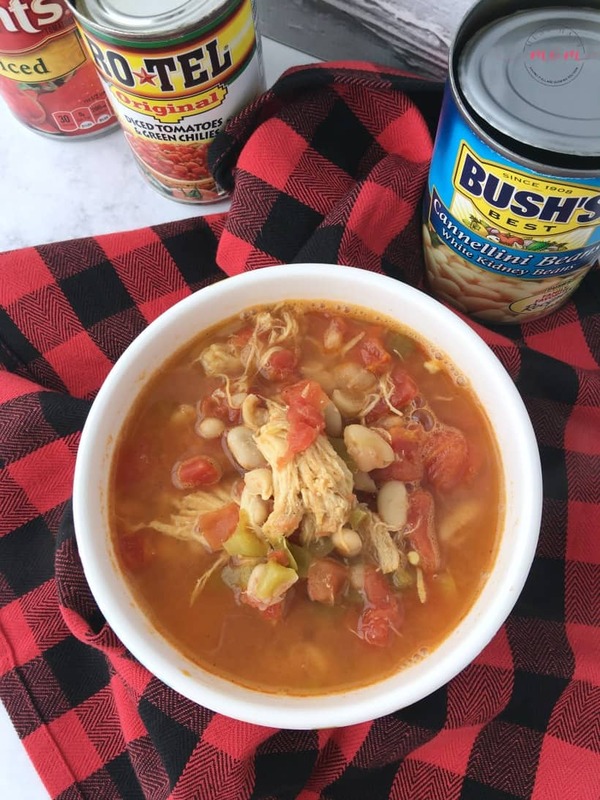 Packed with flavor and warms your belly on cold winter days! Comfort food without all the unhealthy ingredients. 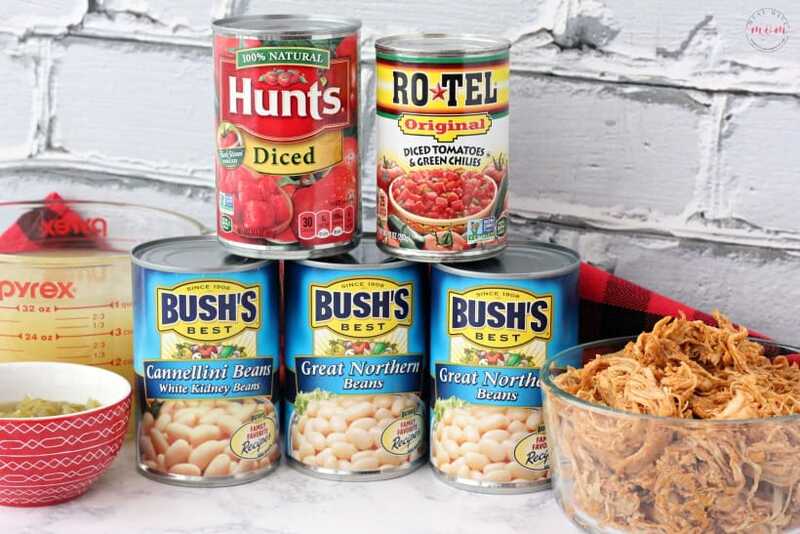 In a large pot, combine broth, Bush's beans, Ro*tel, Hunt's tomatoes, diced chilies, shredded chicken, and spices. Bring to a boil over medium heat and then reduce to a simmer for 20 minutes. Serve with optional toppings. Freezes well and keeps in the fridge. Reheat on the stove. 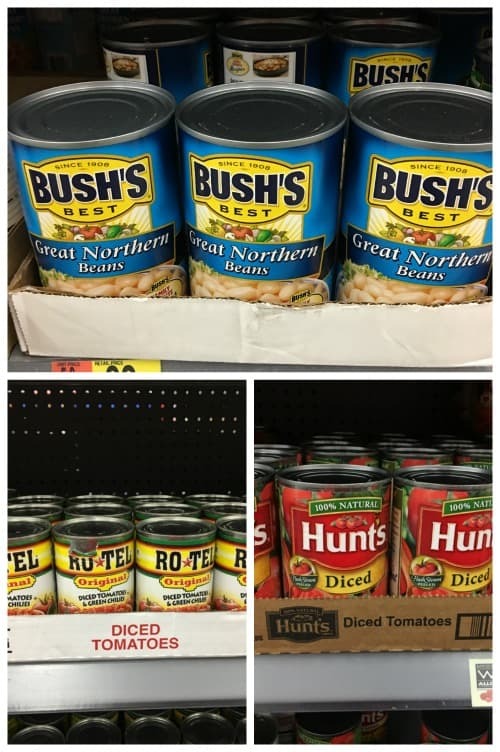 Find Hunt’s Bush’s and Rotel at Walmart! Yummy! 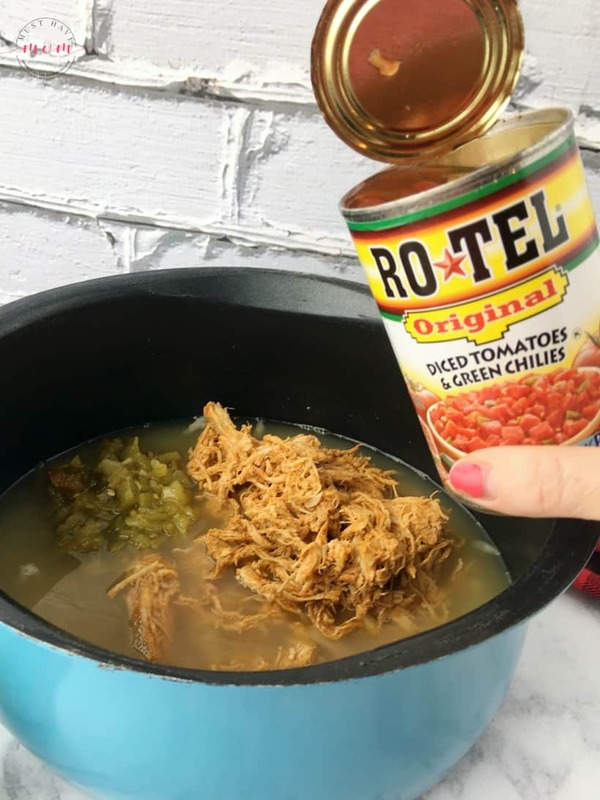 I love a nice hearty soup during the cold weather months. This one looks fantastic! Yum! This looks and sounds amazing. Especially for this time of year when the weather is cooler, these are the types of dinners I love. Yum, a great meal on cold winters night… and those cold nights are coming soon here in MN. 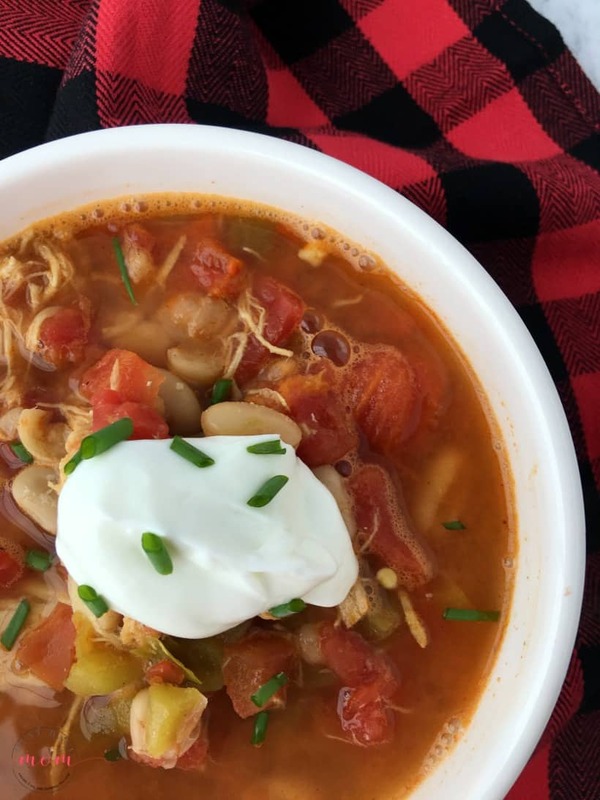 Chicken makes a great substitute for a red meat chili. My family will love this because it is spicy! Looks delish! This looks really good. 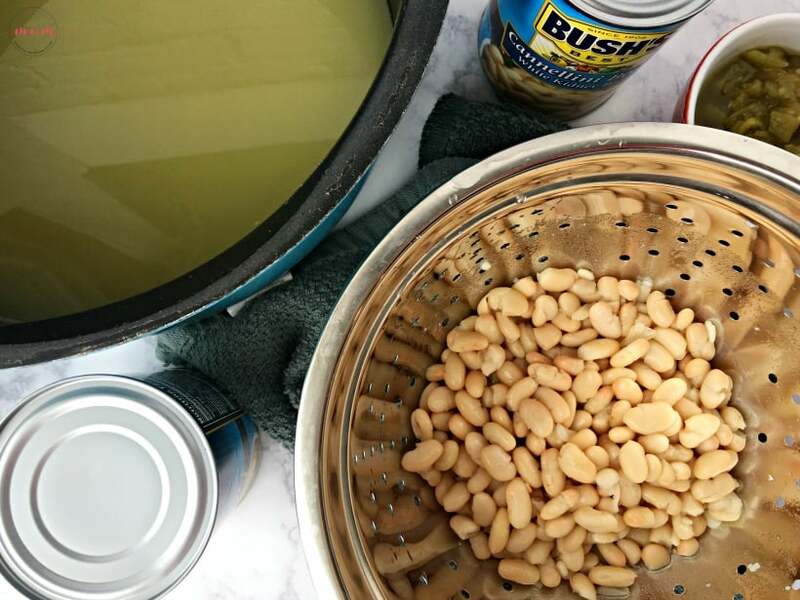 This recipe is perfect for this time of year. Oh, yum! 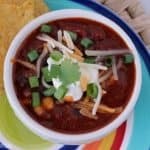 My kids and I would love to try this taco chili. It looks delicious and so filling! 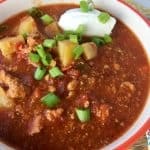 This taco chili looks awesome. My Dad loves chili especially this time of year. I will have to make this for him.